The bike was running silver-zinc batteries (thus the name). Now, you may have never heard of silver-zinc chemistry, or you may think it’s a long-lost ancestor of the current lithium battery we all run today. Well, you’d be wrong. Silver-zinc is a well known chemistry, it’s still in use, and to find the poster child for sliver-zinc chemistry you’d have to go to outer space. Mars, to be precise. Yeah, we’re talking the batteries in the Mars “Curiosity” Rover, and yes, Yardney is still around. Take a look at their website, here. Yardney is into lithium chemistry too, but look at these numbers for silver-zinc, here, on their datasheet. Here’s what jumps out: Wh/lb ratings of anywhere from 43 to 69. For reference, an average LiFePO4 prismatic cell is around 30-35 Wh/lb. Back in ’74, they represented a 8x “more available power” advantage over lead. Three stage magnetic contractors , with a spring loaded giant knife switch for shut off. A 250A fuse in parallel bought time for knife to clear without arc. The magnetics could not survive the opening arc. 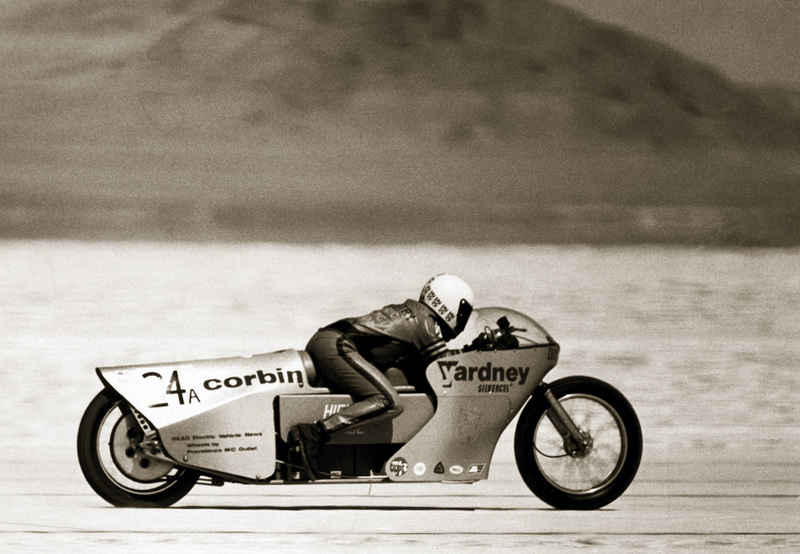 The bike was the first electric vehicle raced with battery technology beyond simple lead/acid. 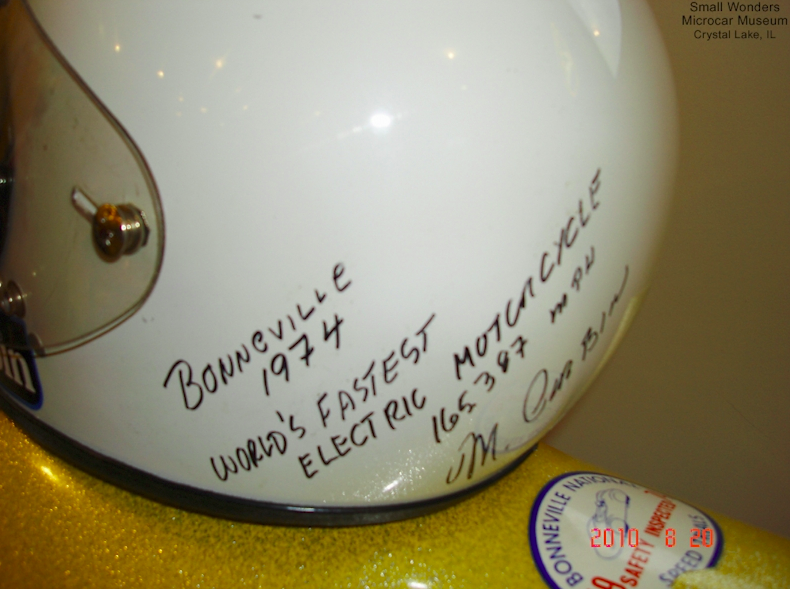 For a pretty complete picture of what Corbin was doing in the mid-seventies, see my post here. It talks a bit about the batteries there too. 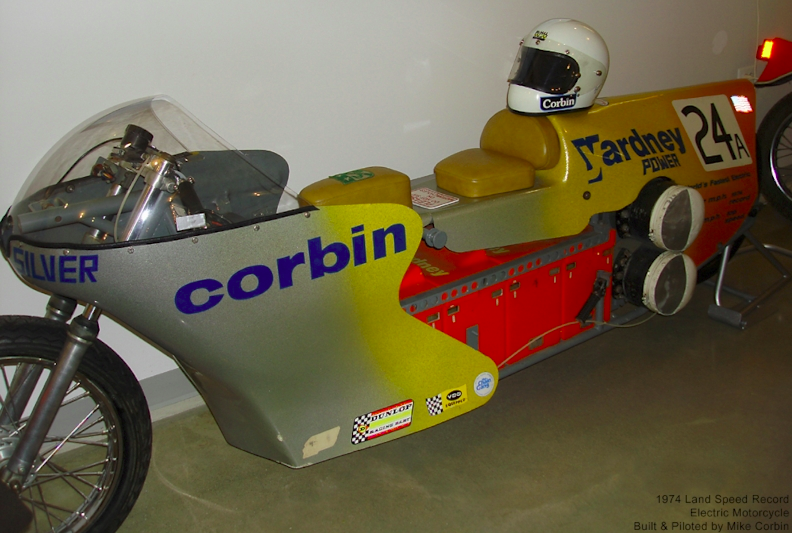 I also did a post on the Corbin motorcycles here, after seeing one of the bikes at the Springfield Museums. 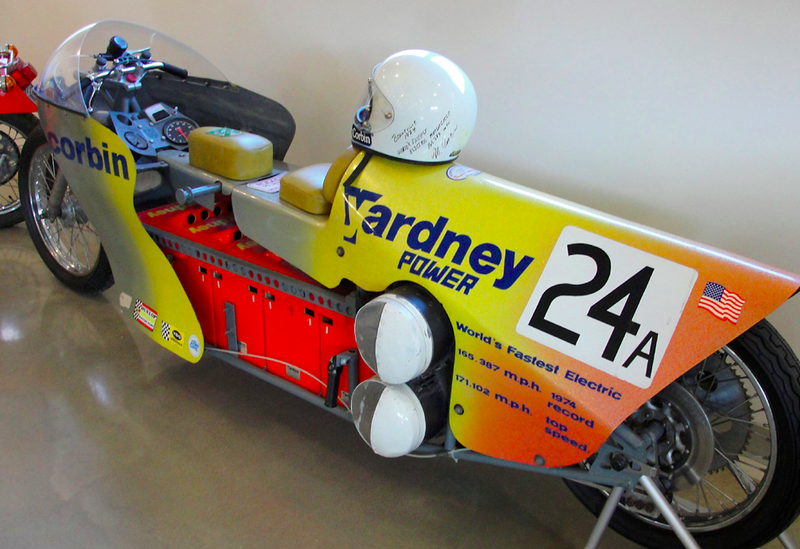 A pretty complete history of Mike and his work with electric vehicles, starting with an electric minibike can be found here- Keep Your Eye on the Sparrow. 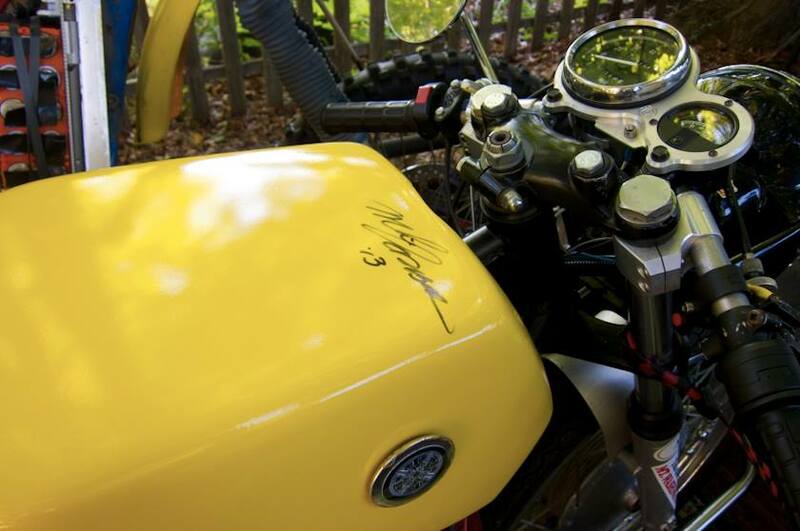 You can see the bike, today, in person, at the Small Wonders Microcar Museum, in in Crystal Lake, IL. …and yeah. I’m a bit of a Corbin groupie. Functional Artist has been banned for 7 days. I thank the members of the community who notified me of this person's antics. Should Functional Artist persist in the future, please let me know and the ban will become permanent. Thanks, glad you enjoyed that. That was some of the reference/source material/notes I used for Power in Flux. There's more about Mike and his accomplishments in the book. Mike Corbin is in the AMA Hall of Fame, and held that record for 30 years. Great guy, still working hard, and yes, the owner of Corbin Saddles, and we're still in touch. Thanks for posting that Travis, and for the record, that's all copyrighted, including the photos, please. Mike, where're the "Posting Rules" or whatever? I know we have them, I couldn't find them when I looked. Finally, when FA comes back, yes, I edit my posts a lot. It's one of the tools of good writing and effective communication. Last edited by Ted Dillard; 29 August 2018 at 0314. Maybe it'd be good to post them somewhere more accessible? I've been away from elmoto too long. This accurately describes the reason why I think I have taken a break. Ive found that the people who contribute to this forum have always been helpful, patient and have challenged me to learn as much as I can before I even post. I remember that this was the first forum I have ever posted on and I'm so glad I did. The connections I've made have really opened my eyes to the changes in our culture and values about the ecosystem that we all share. Wow! You went & told on me? "All messages express the views of the author"
...I was expressing "my views/opinions"
…& I did not post any messages that are obscene, vulgar, sexually-oriented, hateful, threatening, or otherwise violative of any laws.